The review below the only thing thats half true is the beer is good, the beer is kept in excellent order. This is the only proper pub left in town that doesnt do food, keep up the good work. Don't bother coming here if you want to meet new people......beer is good though. It also helps if you quite like smoking as the smokers outside seem to manage to get their smell to mix ith that of the urinals. Mmmmm- nice! the pub has a nice friendly atmosphere, with a new landlord & Landlady is great for watching sport and the beer was keep in good condition with a good choice of harveys ales, worth a vist. 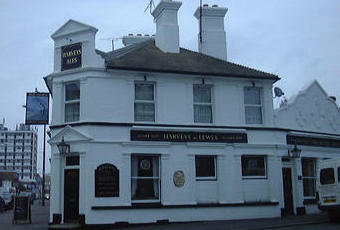 A fairly recent addition to the Harveys estate, this pub was quite busy for a Monday evening. Sadly only one real ale was being served, Harveys Best, but it was in good condition. Most of the customers are clearly devoted lager drinkers. The place was warm and friendly but perhaps a bit too �blokey� for some.